The A&P Group of Companies is a leading building services contractor in the Middle East and North Africa market, with a renowned reputation for delivering complex and fast track projects within time and budget and for attaining the highest standards of quality. The A&P is headquartered in Dubai, UAE and has Subsidiaries and Affiliated Companies in most GCC countries. Subsidiaries include A&P and Conspel in UAE, Jordan, Oman, UK, Qatar, Iraq, Greece, KSA and Cyprus. The A&P Group and its Subsidiaries have been providing world class integrated electromechanical services to large and complex residential and commercial projects, airports, hospitals, hotels and tourist complexes, educational facilities, industrial projects, power stations, complex defense facilities and major infrastructure projects. 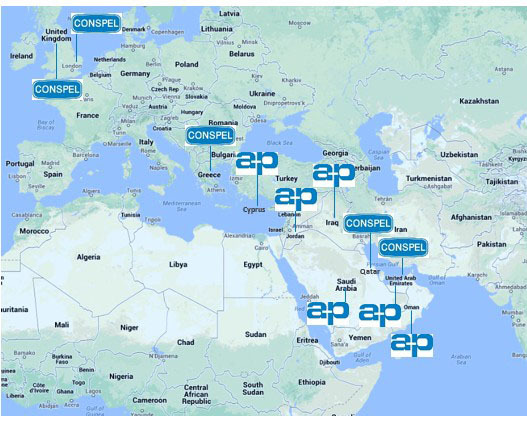 The wealth of experience gained by the company over four decades of successfully completing the most complex of projects has enabled A&P to expand and consolidate its position and to gain prominence amongst the leading electromechanical contractors in the Middle East and North Africa Region.